Junction closures taking place next weekend. Lancaster’s M6 Northbound and Southbound between junctions 33 and 34 will close next weekend. The closures, taking place from Friday September 9 to Saturday September 10, is to facilitate the installation of a super-span gantry south of junction 34. The super-span gantry is required to help operate a smart motorway. A signed diversion will be in place between junctions 33 at Galgate and junction 34 at Caton. There will also be a full closure in place on the A6 on Lancaster Road at the new bridge. This will be from Friday (Sep 9) at 11pm to 6am on Monday September 12. The closure is to facilitate surfacing works of the new junction with the Bay Gateway. A signed diversion will be in place. The week commencing Monday September 5 junction 34 slip roads on northbound and southbound will be closed for 24 hours for that week. 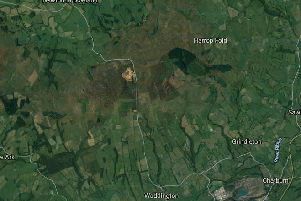 For a full break down of the closure visit http://heyshamlink.lancashire.gov.uk/roadworks.aspx.